I had hoped to use the Apple Watch app, but the display only shows the top half of the numbers. Perhaps this is because I have the original Apple Watch? I also find the process of entering numbers to be cumbersome. If I click on an item to change the value, I first have to backspace out the current value before entering the new value. I’d prefer that it just let me start typing the number right away instead of going through those extra steps. But I’m happy that this app is available. I haven’t used it much yet, but I’m sure it will be useful. Good E6B on my iPhone, but the number input pad on my Apple Watch is nonresponsive in this app. I presume that will be fixed. In the meantime my iPhone is just fine. Agree with other reviewers that larger text would be better. Lots of wasted space and not really attractive pages, especially on an iPad which a lot of us are using. 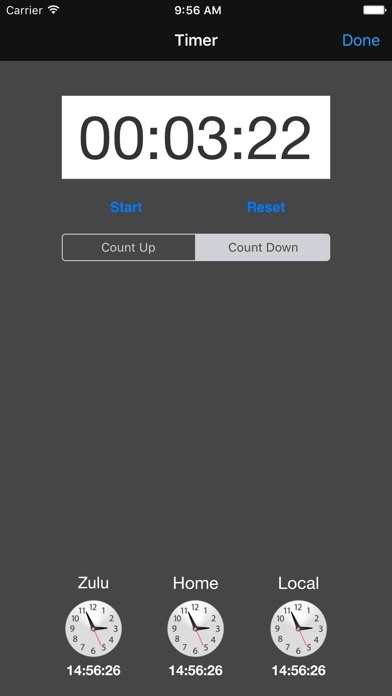 Would be nice if the timer made a sound when count was reached. I have the Sporty’s E6B calculator and the old fashion wiz wheel, this by far is so less complicated and a must for all pilots. 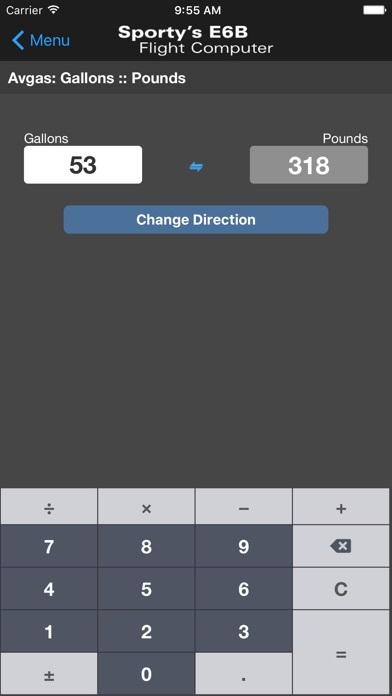 Built in calculator as well since the iPad doesn’t have one. A pity you can’t use it for your exam but it made it easy for my check ride. 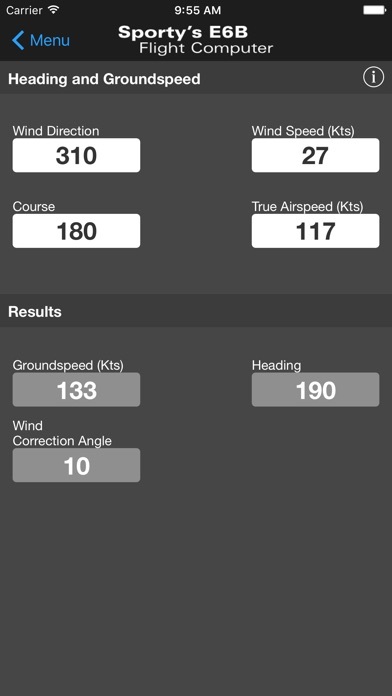 I bought this app to help me with calculations that I didn't know how to do on the mechanical e6b and to cross check myself. Really nice and convenient app to have for cross country planning. Utterly disappointed that the watch app does not have any enroute options. Can not select any planning or enroute to put on my watch. Waste of $10.00. There are free EB6 flight computers all over the place. I made an assumption that for $10 I would get something for the watch useful for in flight purpose. Every single option, the 9, have to be calculated on the ground. This app does everything it says it does. It has not given me any problems. Best $10 I have ever spent. I love the iPhone app and use it as my primary e6b. Yesterday I got the Apple Watch and was excited to be able to use functions there instead of having to break out the phone. NOPE. The only thing the watch app does is conversions. 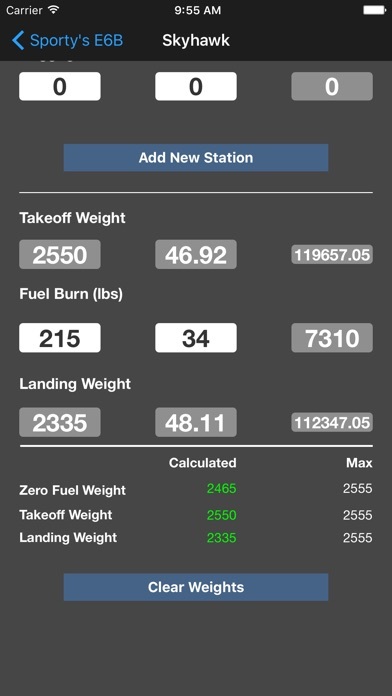 When I'm flying, I don't need to convert avgas gallons to pounds, I need to be able to calculate heading, distance, and fuel burn to my divert location! Soooo disappointed that the Functions were left out of the watch app. Way better than other e6b options. 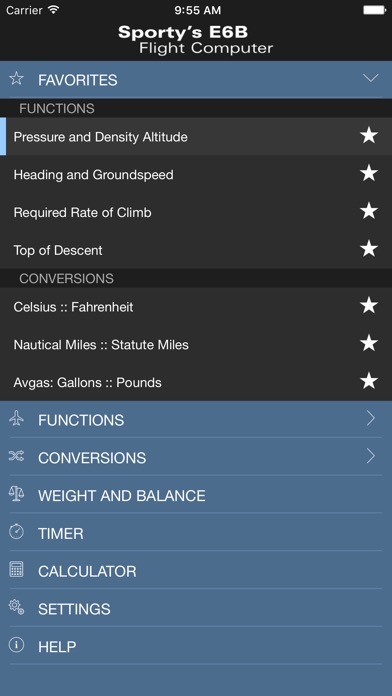 My one gripe and feature request is that the Next, Previous, and tapping an entry field select the full value so I can enter a replacement on the keyboard without hitting the C button every time to clear, since flight planning involves keeping some values the same while changing others for similar calculations.